In a highly competitive market, small and medium businesses (SMB) need IT solutions that deliver businessclass performance with high levels of reliability and security. They also need solutions that are cost efficient, easy to manage and can scale as they grow. SMB businesses are turning to easy-to manage, entry-level servers to address these needs. With an on-premises server, businesses can reduce costs and improve application performance and reliability. With security features built in, a server helps protect data and provides support for back-up/ recovery needs. Employees also have secure, 24/7 access to the data and systems that will help drive innovation and growth. SMB Server Blocks from Intel are powered by the latest Intel technology, and include Intel® Server Board S1200SP product family that can scale as customers grow via SATA and PCIe expansion options for increased storage functionality or faster networking speed. The SMB Server Block is designed with small businesses in mind, featuring a pedestal configuration that is quiet and well-suited for a small business environment. To make server management easier, this product features Intel® Node Manager and Intel® Remote Management Modules to enable secure, anywhere-access from any device, and provide ongoing monitoring and troubleshooting. 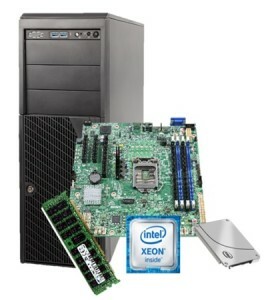 These pre-configured server blocks feature the Intel® Xeon® processor E3 family that delivers high memory, I/O and storage capacity, fast application loading and performance, and the capacity to support multiple users. This latest processor from Intel delivers increased productivity with Intel® Turbo Boost Technology, Intel® Hyper-Threading Technology, and more performance than previous generations. 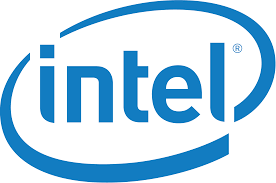 It also delivers hardware based security features like Intel® Data Protection Technology and Intel® Platform Protection technology for better protection of data. Take advantage of Intel’s world-class engineering, validation and warranty. Intel® Server Boards have more than 100 sensors built in that monitor all critical functions and use management capabilities to automatically flag problems before they impact business operations. Event logs and lightguided diagnostics also assist in rapid identification and remediation of issues. SMB Server Blocks from Intel come with a standard three-year warranty that includes the option to extend coverage to five years. Warranties come with Intel’s 24/7 technical support and commitment to replace or refund any product that fails.Additionally, since all components are purchased in a single SKU, there is a single source for all support needs. Fully-validated systems based on Intel® Server Board S1200SPL, Intel® Xeon® Processor E3-1230 v5, Intel® Server Chassis P4304XXSFCN and other Intel components. Intel continuously delivers leading edge technologies to help you innovate and differentiate in the market. This is true with SMB Server Blocks from Intel, designed to help you realize an easier path to reliable SMB server solutions.